Formed in 1964 amidst the mod revolution, The Who have grown to be one of the biggest and most influential British rock bands of all time. Their career has seen them release such important films as ‘Quadrophenia’ and the rock opera ‘Tommy’, sell over 100 million records worldwide and pen such smash hits as ‘Substitute’, ‘My Generation’, ‘Pinball Wizard’ and ‘I Can See For Miles’. You are hereby invited to attend Wembley Stadium on Saturday 6th of July where The Who will be playing all their classic material. Tickets are expected to sell quickly, so make sure you set your personal reminder right now! The Who tickets are released at 10:00 on Friday 01/02. Everyone loves The Stokes. The New York cool kids lead the post millennial garage revival to reach iconic status, becoming the defining band of a generation. They are the latest headliner announced for All Points East, supported by Interpol, The Raconteurs, Johnny Marr, Jarvis Cocker and more. The Strokes tickets are released at 09:00 on Friday 01/02. Sheffield’s biggest festival Tramlines is back from Friday 19th till Sunday 21st of July. Three days of iconic acts plus names you need to know, Tramlines never fails to be truly unmissable. Take advantage of the payment plan, allowing you to split the ticket cost into instalments. Marry Poppins is the no-nonsense nanny with many marvellous secrets. The wonderful stage show captures of the magic of the original classic Disney film and brings it to the stage of London’s Prince Edward Theatre, tickets on sale right now! Mary Poppins tickets are currently available. Bristol Sounds is five nights of midsummer gigs taking advantage of the hot summer evenings held at the iconic setting of Bristol’s harbourside. The awe-inspiring acts include Tom Misch, The Cat Empire, Bloc Party playing their classic album ‘Silent Alarm’ and The Cinematic Orchestra. Bristol Sounds tickets are currently available. Busting out of Llandudno, North Wales, Catfish And The Bottlemen have smashed into the charts breaking the Top 10 with debut album ‘The Balcony’ to then take the top spot with follow up LP ‘The Ride’. We expect even more success with the release of their third record ‘The Balance’ later this year. Catfish And The Bottlemen tickets are released at 10:00 on Friday 01/02. Britain’s best love ska gang are back once again to invite you to their House of Common. Madness present their annual huge outdoor party at Clapham Common in London where they will be supported by a huge range of your favourite acts on Monday 26th of August. Madness tickets are released at 09:30 on Friday 01/02. Having dived even deeper into his psychedelic influences to explore greater sonic potential, Noel Gallagher is once again one of the biggest British acts with his High Flying Birds. He now announces a major gig at Bught Park in Inverness on Saturday 8th of June. Noel Gallagher’s High Flying Birds tickets are released at 09:00 on Friday 01/02. 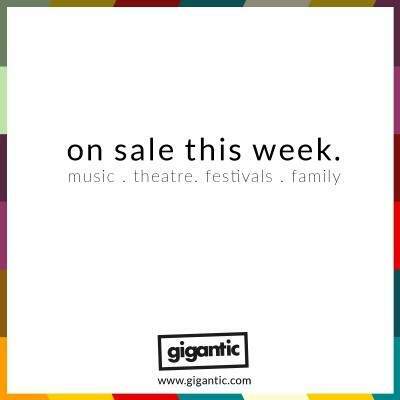 Gigantic always has the best selection of gig, festival and event tickets with even more being added every day. Put yourself first by choosing a personal reminder which can alert you with a text message or an email just before the release of your favourite tickets. Ready to hear what the rest of the year is going to sound like? 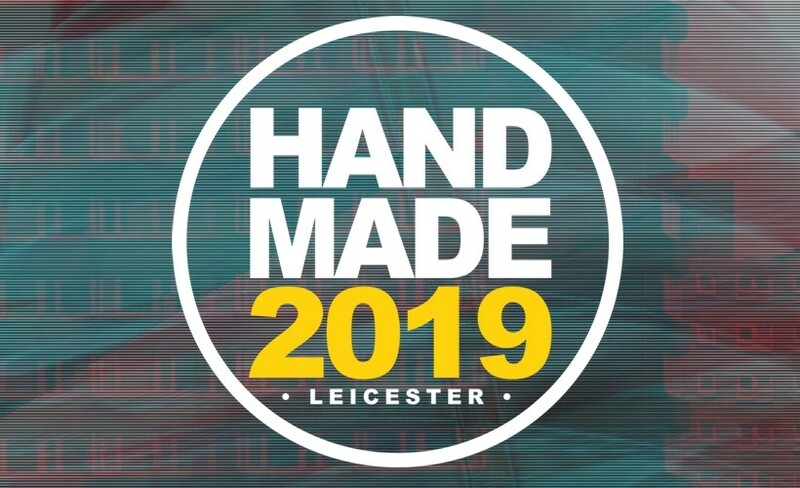 Handmade is a fantastic meld of big names and rising stars for a huge all dayer in Leicester on Sunday 5th of May. The organisers of Splendour have certainly knocked it out of Woolaton Park by recruiting the mighty Manic Street Preachers and The Specials as headliners. Splendour tickets are currently available. Hit the North is the largest inner-city music in the north east of England. Taking over the best venues Newcastle has to offer, you can bet it is going to be an unmissable day! Hit the North tickets are currently available. Native Festival celebrates female empowerment by showcasing their talent in sport and music. The new event hits Sevenoaks in Kent on Saturday 28th of September. Native Festival tickets are currently available. Steelhouse Festival is three days of classic rock, held at the idyllic Welsh Hafod-Y-Dafal farm from Friday 26th until Sunday 28th of July. Tickets are going fast! Steelhouse Festival tickets are currently available. Looking for where the party is at? Latitude 2019 brings together the very best in rock and pop, boasting such luminaries as George Ezra, Snow Patrol and the infinitely enigmatic Lana Del Ray. Latitude tickets are currently available. Hard rock heroes Metallica are metal royalty, having sold a staggering 125 million albums worldwide and decorated their mantlepieces with more Grammys than an award show! This summer, they play Etihad Stadium at Manchester and Twickenham Stadium in London. Get to Sophia Gardens Front Lawn in Cardiff for Feels Like Summer where you can see headliners Bananarama joined by special guests Bonnie Tyler and Mr Motivator plus more yet to be announced! Feels Like Summer tickets are currently available.